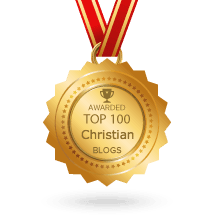 Some time ago I published a list of the top 12 verses on the new covenant. It seems only fair that I also give some air-time to the number one verse on the old covenant. 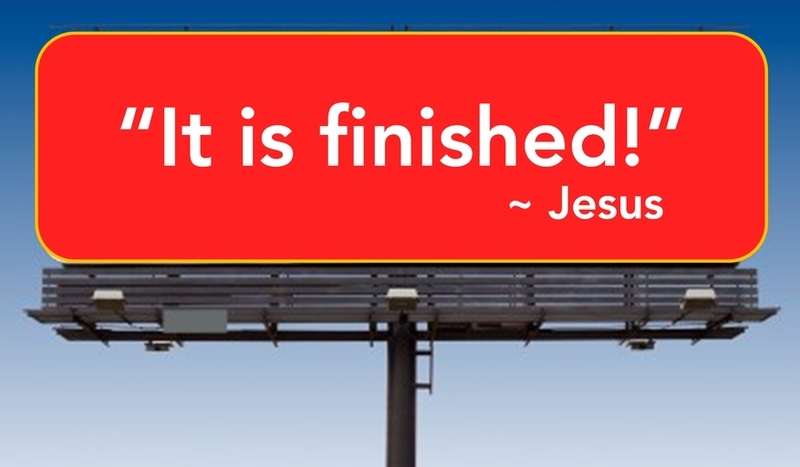 Here it is: “It is finished” (Joh 19:30). What is finished? That old rule-keeping order that demanded perfection from you without lifting a finger to help. The writing was on the wall but now it’s on the cross (Col 2:14). Your sins have been forgiven and the books have been closed. The old has gone and the new has come. Sounds like good news to me! Happy Easter! Thank you Paul and happy Easter too you as well! When I was first saved, Easter was such a wonderful time of rejoicing to me. Then I joined a church that mixes law and grace (mostly law). Over the years my joy had deminished and I felt spiritually dead. In the summer of 2013, however, God introduced me to the ministry of Joseph Prince and grace preaching. A dear friend also gave me books to read and suggested your website. My spiritual life has been renewed, thanks be to God. I have been so blessed and encouraged and the Christian life is wonderful again. I am resting in the finished work of Christ and the Bible has come alive! Praise be to God for I once was blind, but now I see! That is absolutely beautiful, Angela. God bless and Amen Angela. It’s strange how most feel on top of the world when we are converted only to feel like we are below the earth in an unsure dark place when we join a church that preaches anything but grace. To God be the glory thou that he always leads us in the right way and those that believe will follow it. Angela,I too was sitting in churches for over 40 years that mixed Grace and Law! Despair, fear and rejection were part of my Christian “walk”. I could never understand what was wrong with me. I just couldn’t get it “right”. I prayed, worked in the church, fasted, gave money, etc. Nothing worked until I listened to Joseph Prince and the message of Grace, on TV one day. My life and my family’s life has not been the same. It is now a walk of joy, peace and love, thank you Jesus! I am excited that this revolution will spread mightily throughout the body of Christ and many will share in the victory that is in Christ and be released from their misery. However, it is their choice. Thanks for sharing. Happy Easter to you too Paul! May resurrection course through your life and body until the rest is finished! For many years I thought that salvation was by works under the old covenant and now it is through grace under the new covenant. But recently I started to see that, as far as I can tell this is not true. For example the bible says that Zacharias and Elizabeth “were both righteous before God, walking in all the commandments and ordinances of the Lord blameless.” (Luke 1:6) I don’t believe that anyone has ever obeyed the Law of Moses perfectly but I do see evidence that some have obeyed it in a way that is pleasing to God. And I don’t believe that this was done without God’s grace. You assume (as many of us have and still do) that God required obedience to the Law for salvation but that it was impossible to do so and that God never lifted a finger to help. I’m beginning to see that God redeemed a people out of Egypt (blood on the doorposts) and brought them to the foot of Mount Sinai and gave them instructions for righteous living or instructions for loving God. (1 John 5:3) I guess I said all that to ask you how you come to your conclusions – especially on salvation through works under the old covenant. Feel free to point me to one of your articles if you’ve already addressed these questions. Thanks! Hi Mike, I didn’t see any questions in your comment so I’m not sure what you are asking. However, the Bible identifies several people who were righteous before the cross: Noah (Ge 6:8-9), Job (Jb 1:1), Elizabeth and Zechariah (Lk 1:6), Joseph of Arimathea (Lk 23:50). The question we must ask, however, is if they were righteous with a righteousness that comes through their own effort or a with a righteousness that comes from God. Paul wrote: “Clearly no one who relies on the law is justified before God, because the righteous will live by faith” (Gal 3:11). When the Bible says these guys are righteous and blameless, it’s saying “They’re good guys.” But good guys still need Jesus. Salvation has always been a gift of God; there has never been a salvation based on self-righteousness or law-keeping. I was asking how you came to the conclusion that salvation came through works under the old covenant. I asked this based on your statement “That old rule-keeping order that demanded perfection from you without lifting a finger to help.” If this order was in place at one time but is now “finished” who established the rule-keeping order in the first place? I have never said salvation comes through works. Who established the law-keeping covenant? The Jews believed that angels did (Heb 2:2). Hello Mike. I will attempt a reasonable answer. I am assuming this is a sincere question and not a set up for some weird universal doctrine! This topic is tough for us Christians to grasp in the beginning because we look at the law and realize God instituted it. We ask ourselves the question, If God instituted and gave all this information why would he all of a sudden just say it doesn’t apply anymore? As Spirit birthed children of the living God, (that phrasing of who we are carries more truth and weight then the simple term of “believer” for what has occurred within us) we have to interpret everything from now on from the perspective of what has occurred on the cross of Jesus. Paul the apostle set aside by Jesus to deliver the gospel message to the world has several things to say about the purpose of the law of Moses, While delivering the good news of what Jesus did for us! Let me know if I should continue with these simple but awesome life giving truths that as you grasp them you will be flooded with immeasurable joy and peace and the understanding of your right relationship with your father in heaven, if the Spirit of God has come inside of you and you have been born from above? As Paul said I believe the Jews were correct in Heb 2:2 and it was one specific Angel, I believe they will one day see and be surprised by the truth they had that evaded them. My questions are sincere. No set up! 🙂 Many Christians assume that people were saved by works under the old covenant and now we’re saved by grace in the new. I assumed that this was Paul Ellis’ perspective but he clarified that. I was just curious as to why people believe this scripturally. Thanks! Happy Easter to you! It Is Finished makes it Happy. Believing this and reminding myself that it is finished makes Life Joyous! Love it Paul and will be using the pic when i preach! Since it is Easter, perhaps we can put forth a little of the esoteric on Christ’s completed work, on God’s complete and completed Will for Man which is revealed, fully, in Christ. In the amalgamation which Necessity finds with Contingency there amid Being, there amid (in this world) the stuff of God/Man – we find the inescapable semantics both of incarnation and of resurrection. It is in Christ alone where we find such peculiar and robust (metaphysical) seamlessness as we explore the necessary shape of incarnation and as we explore simple physicality’s unavoidable ends in the language of resurrection. The Necessary finds inimitable truth predicates given that that which precedes Contingency necessarily subsumes the whole of it all the while overtaking and superseding it. Any degree of actualization less than that finds Man in his (painful) privation – but thankfully Christ has fully actualized all such possibility. This is nothing that Man, Contingency, can ever do in his painful isolation, but, it is an Act which Necessity, God, has in His love His love for us done utterly, completely, from A to Z. There are no letters after Z.
Hello SC Brown,obviously you, Paul and Yogi bear have a lot in common. You are clearly smarter than the average bear!😎 The rest of us Boo-Boo’s were doing quite fine and prefer to legate the esoteric verbiage. We find it to be lassitude, topar. We descry it as well to be ennui. We optate towards the ascetic. However, the amalgamation of the Necessity, Jesus and the contingency, man, procuring resurrection life for The contingency, must be celebrated! The never ending existence of the firstborn has finally been amalgamated with the masses! ( New birth) 😎 For translation please see John 3:16. Amen and Praise the Lord – thank YOU Jesus!! and this whole post and the comments just make me SMILE!!! I have been a subscriber for about 2 years. Along with the grace lessons I get from my pastor, I am blessed every day with your teaching.